Shown for the first time at 100% Design in September 2011 in London, the Kirv Otto is a multi-functional table bench. It’s curvaceous form is handmade from tubular stainless steel with an ethically sourced hardwood table top. Its low height and rounded edges make it ideal for domestic gardens creating comfortable seating for all ages, without the need for expensive maintenance. 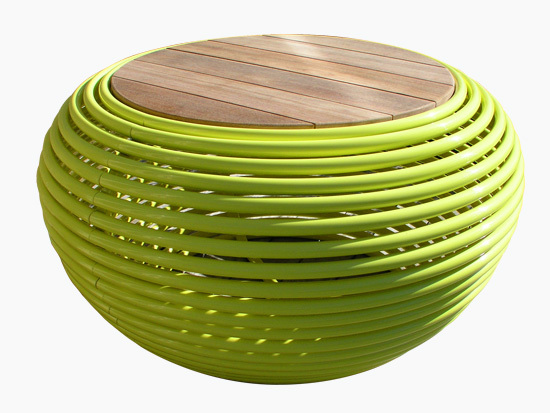 Its curvy architectural form and bright colour options are ideal for public spaces too. When used in a group the Kirv Otto makes eye-catching seating in atrium, waiting areas and almost any public arena. Being made from stainless steel means it’s ideal for both indoor and outdoor use as it’s tough and durable. 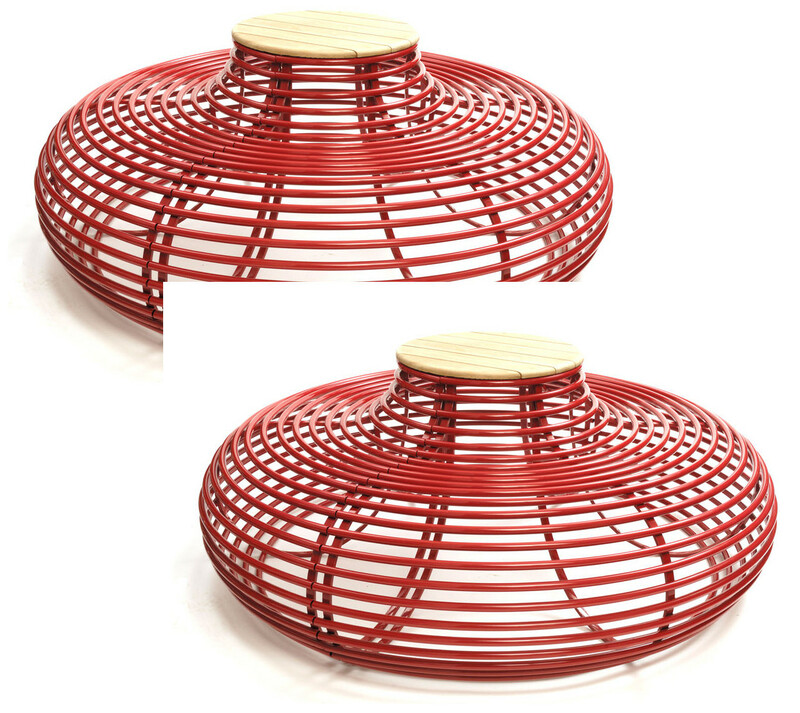 It can be made to any diameter and is available either as polished stainless steel or powder coated. Our standard size has a 1.2m diameter. The Kirv Otto is available electro-polished (link to finishes page) or powder coated (link to finishes page). We offer a choice of RAL colours as standard, others are available but may incur a small extra charge. The diameter of the Kirv Otto can be made larger to fit with existing schemes. The density of tubing, finishes and colours can all be adapted. Unobtrusive security fixings can be provided for this bench.